This well balanced flow class will get you out of your head and into your body. Expect slow but fluid movement experience with focus on linking conscious breath with a mindful flow. We will explore poses that range from gentle to challenging, all done with stable, self-centering energy. We finish with pranayama and deep relaxation in shavasana, allowing the body and mind to integrate the practice. Art of Living Yoga is a program put together by Sri Sri Ravi Shankar, founder of the Art of Living Foundation. 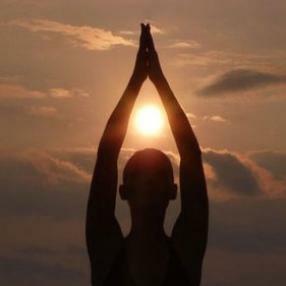 It is a pure and authentic form of yoga brought to you in a very joyful and thorough manner. A combination of gentle and vigorous series of postures is taught for the well-being of the body, while an equal emphasis is placed on techniques for nurturing the mind and spirit. It is gentle and happy since it asks you to relax in the Asanas and go as far as you feel comfortable. Focus sharpens the mind and relaxation expands the mind. Just an expanded mind without sharpness cannot bring full development. A sharp mind without expansion causes tension, anger and frustration. The balance of a focused mind and an expanded consciousness brings perfection. In Art of Living Yoga we aim to do just that! Bring about a mind that is relaxed yet focused! Benefits: Overall health, well-being and flexibility, alleviates depression and anxiety, de-stressing. It will make you smile. Level: Great for beginners and those seeking depth in their yoga practice. A slow, moderate level class that combines the strength of held postures and the serenity of breath - directed movement designed to balance the body, increasing strength and flexibility along the way. We typically cover a wide range of postures that are held for enough time to refine alignment, focus on the breath and observe the sensations within. First part of the class focuses on asana practice & in second part we relax and explore our inner landscapes with guided meditation. All levels welcome!